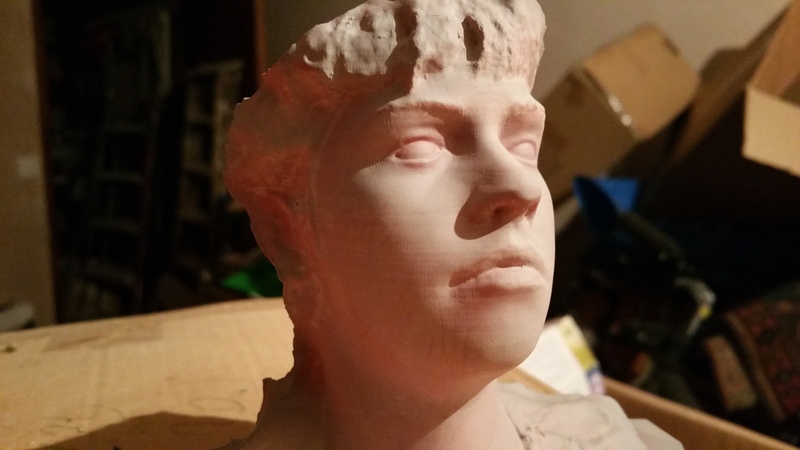 Ok just printed a detail test, where i took to Zbrush again, this time adding detail in nostrils and eyes and tightening the lips up to. curious how sharp it will be after my acetone. Here is before photo, with its weird moire pattern that is seems to get... must note the alien i did earlier was printed at 50mm not 35mm so maybe thats why it came out less good that i expected? even though this model seemed to have a very thin gap in the middle of the shell for some reason, so hopefully the acetone wont completely destroy it due to its ultra thinness. (its less than 1mm thin shell all round. Just under 4m of filament used, which is next to nothing! Ill acetone this one tonight, maybe a quick spray too, I need to give it as a finished present tomorrow! I have a feeilng its gonna crack though as im sure ive installed teh couple badly still. the gap is too big up top. There were lots of little bits sticking out too. ok no splits yet' just did the usual 5 mins of sanding on the face and any smooth areas i could find. just dipped it (for 35ish seconds) so im gonna leave it for an hour or 2 to be sure, but it hasnt warped the flat base much which is odd. i guess ill see more lines then, but nice detail around the eyes. last pic is 30 mins post acetone. last one looks evil, lol, just thought i would post mid acetone photos. im slowly running out of acetone. its slowly starting to evaporate of the box unfortunately. lines are still there so it seems like i didnt sort the coupler out right becuse i never hadd wobbly models i couldnt sort. this will do though as im in a rush for it to dry for tomorrow. i reckon if you painted t with acrylics it would probably hide it.....or more sanding. lol. here is a pic of the back...left the spheres in for the eyes, lol. What did you use to get that lovely golden finish? Its the usual, quicksand, acetone dip, undercoat then topcoat. The spray is valspar brilliant metallic gold i think (not the regular one). You can see it in my last video if you want to see the can, it takes longer to dry but if you lay it on a few times it kinda looks glossy but really shiny at the same time. Its an effect paint for furniture i think. The spray is valspar metallic gold i think. Thanks for that. B&Q write "Simply apply with a spray and leave for 25-30 minutes to dry - a great way to revamp your home". So I'm buying 1,000 of these and spraying my walls with that. 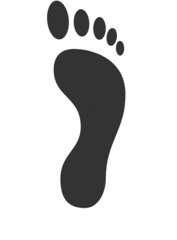 its high voc content and real smelly id leave it a month if you`re doing your room. at least 48 hrs. i leave my models 48-72 hrs even longer as if you touch it during its drying period then it tarnishes to a darker shade. after its dry its all good but you get gold residue if you rub it too much too early. i read that montana black series gold spray is also very good, but its probably more expensive and a lot harder to get hold of. 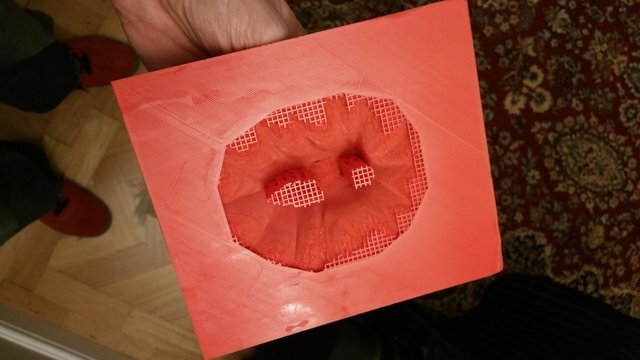 ok so i printed the alien again and this time it went okish. still a gap around the mouth so ill need to thicken it from the inside. the flat bit came out real nice, shoud look great after some acetone. hopefully it wont cave in on me again and i wont need all the filler! 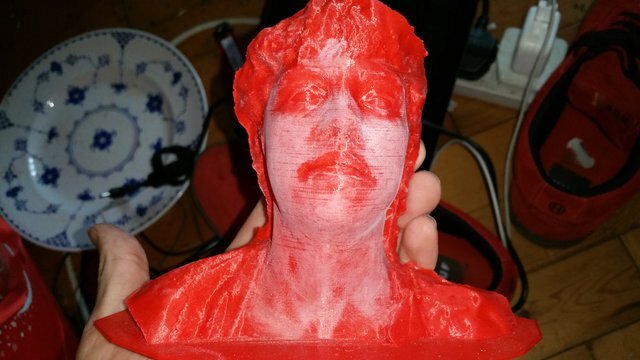 19hr print at 0.06 50mm colorfabb red. it would be 34hrs at 35mm so i just increased it and it still looks great in my opinion. i thought it should be ok as i did it at 211 instead of 209 like last time which had many splits and other issues. Even in red plastic this looks awesome cool. 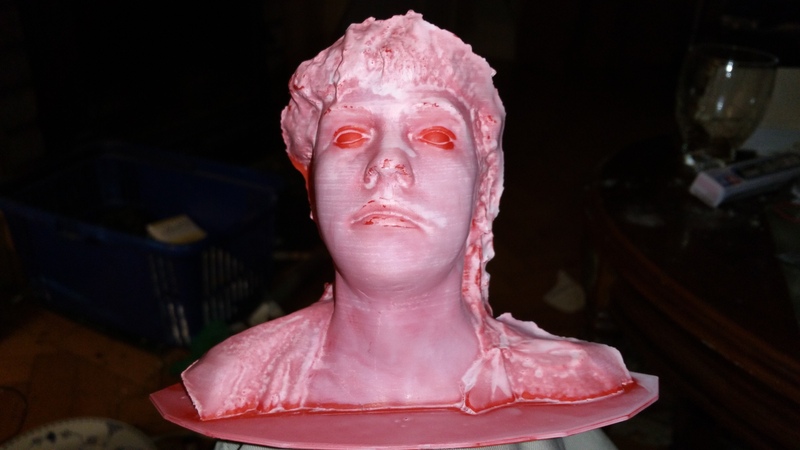 OK acetone procedure 2, i left the support materialin this time just to ensure the face doesnt cave in. very nice patterns looking like dof created due to the base shell and upside down dip. there is no dof on this image! 40-50 seconds submersion time due to Colorfabb filament. nice print quality on this one even though it was printed at a speedier 50mm/s than my usual 35, so ill do the next one at 50 as well. 5-10 mins sanding max with only 400 grade paper which iv found perfect to judge whether the lines are bad, as if you cant sand them out with 400, then you probably need to go harsher, and if you cn, then you probably dont need to bother. i wanted it real smooth but it was so good already it only really needed a light rub over the problem areas. 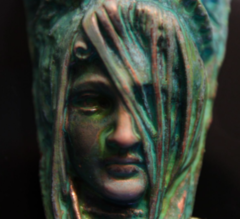 Once i get that hole patched ill post the stl up here and you can print it for yourself Danilius! lol. damn thing caved in again, must be to do with the mouth weighing it down when soaked with acetone or some physics related issue that gravity plays a part in. next time ill dip the face and hold it upside down to cure completely, then dip the base later. i think i must have zoned out when counting the seconds in my head when doing the dip, and also printed it too big for my container so rather then putting it face up, the base was at the top and got less submersion than the base which was close to the surface. so it seems the deeper they get submerged the more effect it has during that minute. 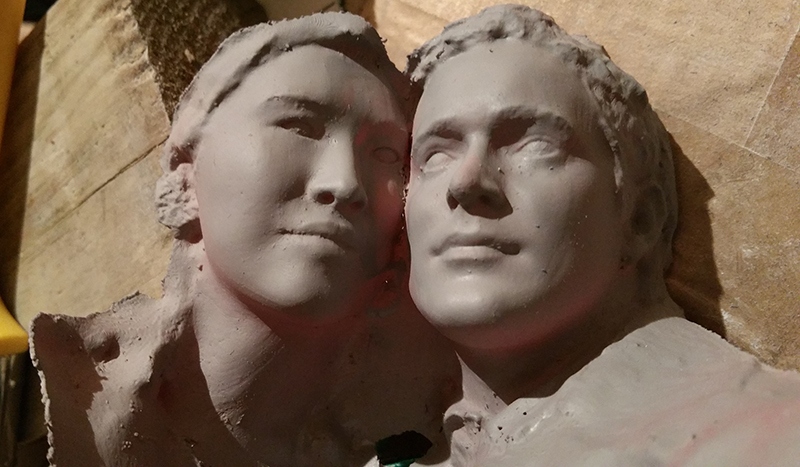 the base has smoothed less than the face. it looks more like a map now, lol still cool though. perhaps due to the thicker base i gave it? oh well, ill just have to print another, at least these are easy to give away. Seems like you're getting quite impressive results with your method! I tried dipping some models in acetone a few days ago. But I just received my Ultimaker and I only have the UM Silver PLA. You can see something is working, but it wont eat away the lines even when I put it in the acetone for a longer period. Trying to polish the print with an acetone soaked cloth worked a little bit better. 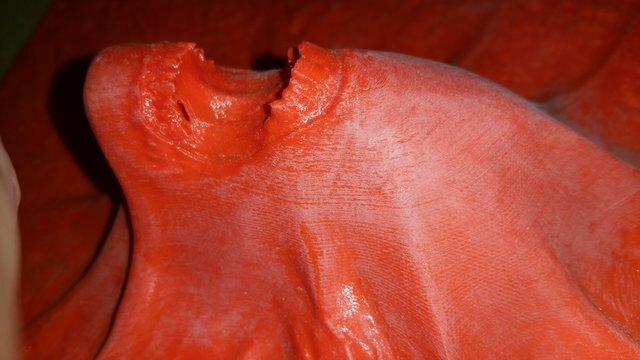 A lot of people recomment ethylacetat for PLA, because it can actually melt the material. I happened to have a bottle of it at home and tried dipping the print in it. The results were not that promising. So I ordered some black colorfabb PLA and hope the dipping will have a better result than with the UM Silver. 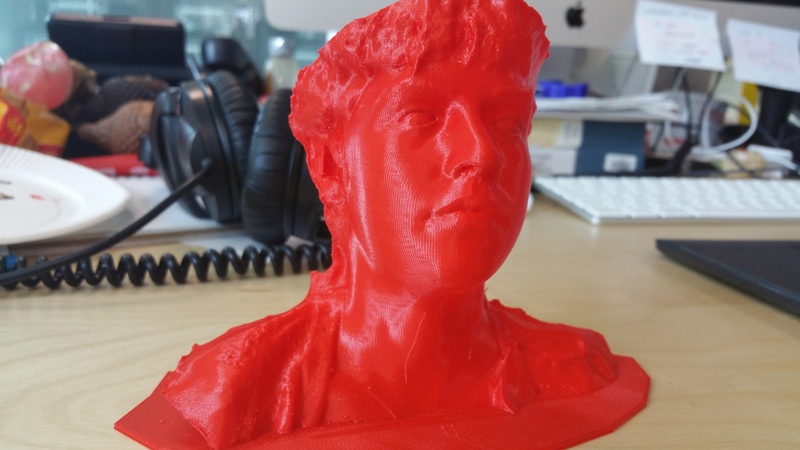 Wasn't it colorfabb you used in your T-Rex Video? Looked promising. What available Filament would you recomment? First of all i want to THANK YOU VERY MUCH! for trying to smooth PLA with acetone. I read all over the web that its impossible, but yet you tried it and it work! I feel stupid following advice from people that dont even tried it.. Anyway i experimented myself too and your are right it work wonderfully! But not with every PLA brand.. I tried with the blue UM PLA that came with my printer, this work very nicely, but i also tried with colorfabb PLA/PHA traffic red, and its not working that wall.. 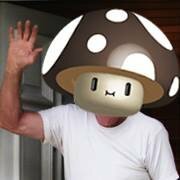 I should mention i use the vapor technique. i tried the dip but it tend to bleach the colour, and what i want is nice color, because i dont want to repaint it. 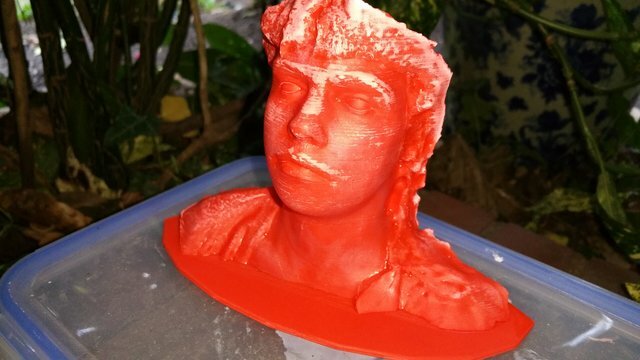 Did you tried different brand of PLA? Wich one work best for you? I like UM filament for its smoothability but there is not a lot of colour in that brand.. Did you tried other PLA filament like Fabdashery, Formfutura or ICE? Maybe you can give us a list of smoothable filament, that would be very educative for the community. Nice details, and nice to see its worked for you some people still dont believe me even after ive posted so many videos and stuff, oh well, there loss, its what happens when people dont experiment. I dont like the vapour method only due to the fact that you wont get super smooth surfaces, but slightly (very slightly) wobbly or lumpy. Seeing as i spraypaint my stuff, it needs to be perfect and any slight wobblyness shows up more easily especially with metallic paints as spray paint is extremely thin, but if you coat it thick im sure you will be ok. And i dont like the vapour method as you use up your acetone quicker than dipping, but mainly due to large plain surface reasons. I will do a comparison one day or vapour pla vs pla bath to hiligt the differences, flat stuff might not warp so much, but havent dont vapour pla in a while. The way the acetone cures is key to the quality of the surface. Air reaction as well. I could write forever, best thing is to try for youself what you are satisfied with! Regarding filaments, i have alreadt said colorfabb and um are my brands of choice and seeing as i dont pay for my filament i have no reason to risk using anything else as i have a limited budget. 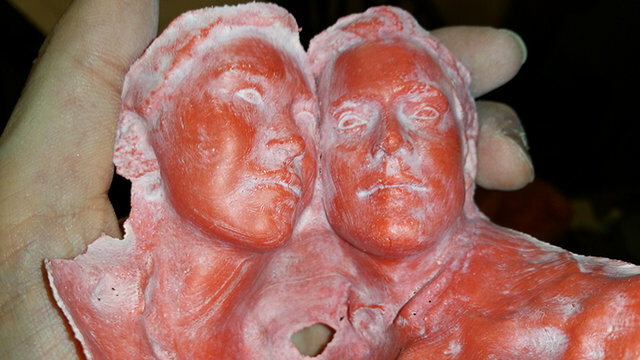 I will maybe try faberdashery as its highly rated, but no word on pla smoothing yet. 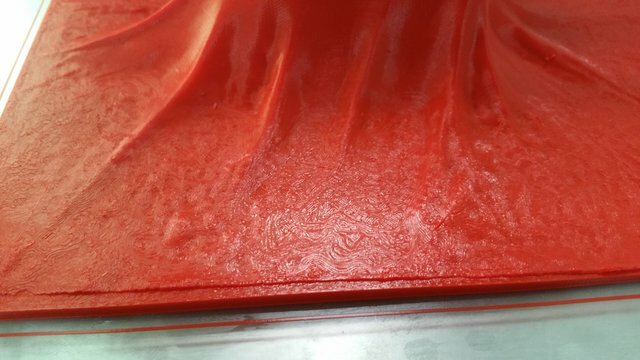 Warm red and also black from colorfabb smooth, but need longer time than UM brand which i find the best since it does not crack, ever. Usually a 40 second dip is fine for colorfabb and a 25 second dip for UM brand. 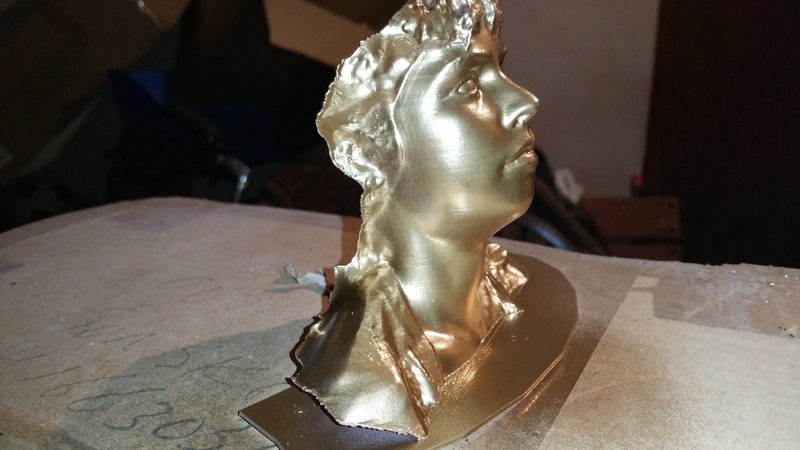 1. its smooths well but you need thicker walls or else the lines on the side of the model will be more visible due to the thin walls shaking during printing. I had nice results at 50mm/s 0.06 so even for bigger models, print times were never over 20hrs on most if not aal of my models. 2. A bit of sanding at the start is required to seek perfection, otherwise it will be just good, but you will see faint print lines. Again slightly thicker paint will easily cover this. 3. Warping WILL HAPPEN on large flat surface, or probably any flat surfaces so unless you can prize it down, or put books on it remember that. 4. A problem ive had recently was that because it absorbs the acetone, it becomes heavier and more flexible (temporarily only btw) and if gravity plays a part some bits may droop and warp. But generally its ok. Im still experimenting. Maybe this doesnt happen with UM brand PLA which ive run out of. You can use this to your advantage by making joints tight and then putting them in place when they are soaked which you normally wouuldnt be able to do because they would snap. 5. The main advantage is less work and less sanding and less filler. You can literally take something off your print bed, wipe off all the tiny blobs or leftover bits, and then dunk it and youre done. 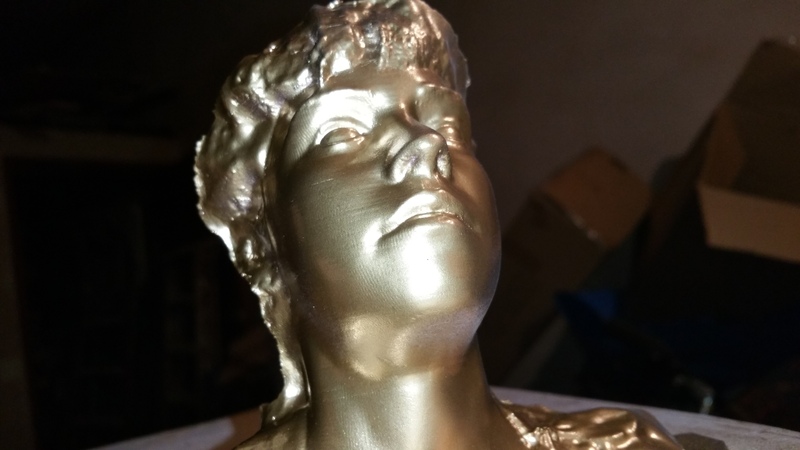 The vapour method looks like the shiny abs as i though it would but rather than completely melt it, it just melts the impurities in the gaps so you get a nice shiny model. 6. Acetone vapour will give you a shiny model and acetone bath will make it matt, both will be smooth. It not perfect, but it smooths everywhere unlike the ABS acetone vapour method, and produces far better results in my opinion, with almost zero risk of ruining your model, again unlike the acetone method. Have fun, my work here is done, lol. After i finish that damn alien. And btw soaking it all year wont get you better esults than the first minute as all the impurities will melt away and you will be left with pure pla remnants which wont smooth. So dont bother with double dips and all that like in my first video one dip for the shortest amount of time you can get away with is all you need. My times are just guides i dont write stuff down normally. And finally. 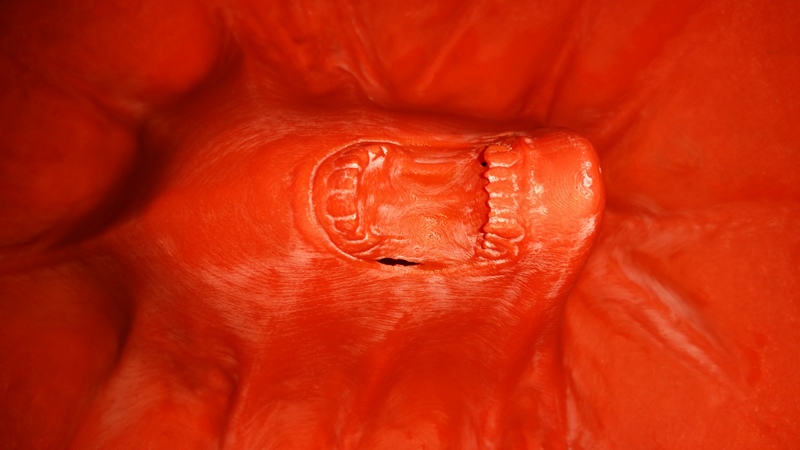 When soaking the pla the final results will not be immidiately visible, give it time to cure. (Like wait for the melted top coat to harden) and it kinda goes milky coloured compared to what it started out as. You can see this in the video on the first page. 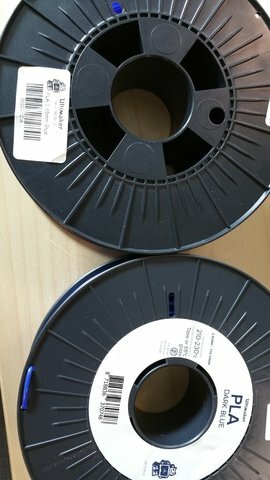 What available Filament would you recommend? I think its quite fortunate for Ultimaker that so far the best brand of filament ive found to smooth is theirs but it was only because it shipped with it i tried. I wonder what makerbot filament smooths like? Lol. Poor buggers can only print in 0.1, lol. Id recommend 0.06 highly, especially with colorfabb any more details is ridiculous print times. And make sure your model has zero holes as if a lot of acetone gets inside....bye bye model as the acetone takes a lot longer to evaporate and usually starts warping from the inside.. 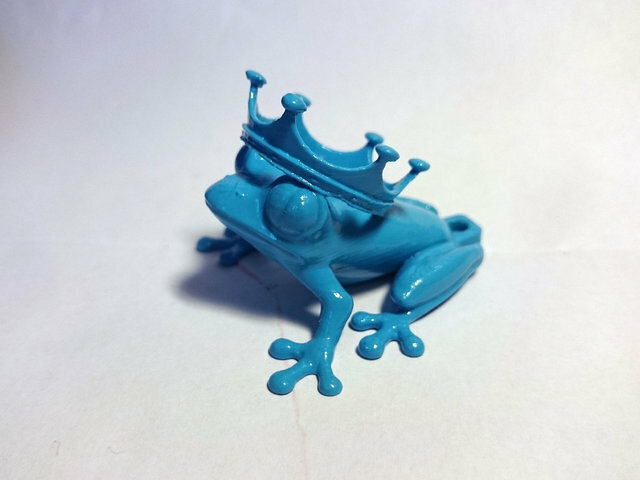 But to answer the question, for beginners new to this PLA acetone business, buy some UM PLA or any plain colour i assume (have not tried), i prefer the dark blue(i heard the light blue is now discontinued!) i think they don't do your blue anymore? And try it out! 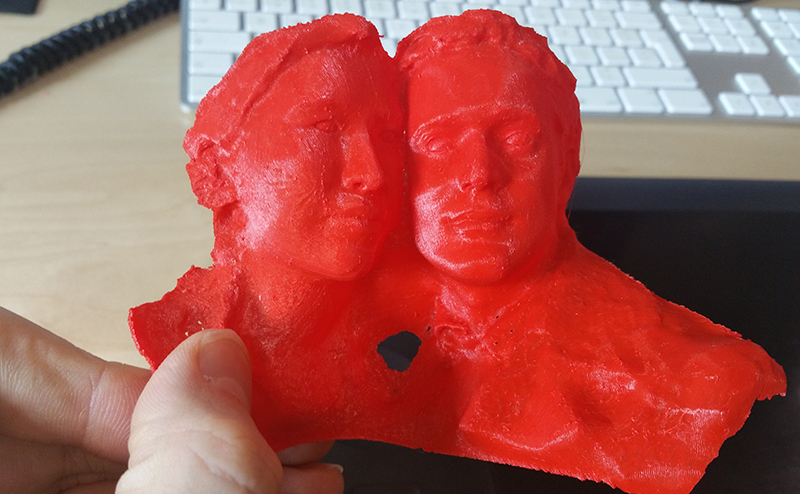 Print something in 0.06 with no weird stuff happening during printing and then do a little clean up and dip it! It WILL be smoother. Colorfabb smooths less and it needs more time in the acetone, and it tends to crack, but on the plus side, as it smooths less, it keeps more details. but to get rid of all the lines easily i would recommend UM brand for now until i find something better. 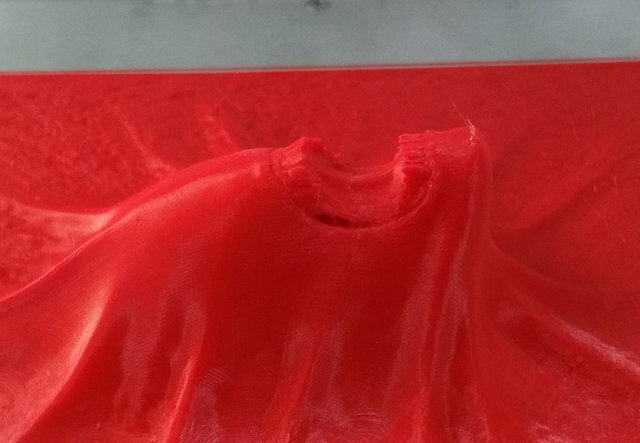 i just wanted to post a clear pic of my alien as i found it was nealry impossible with the black one so im doing a white one and im gonna make the mouth red.. printed in red colorfabb filament and submerged in acetone for 40ish seconds maybe more but nom ore than 50. then a touch of sanding (only on the face curves) and undercoated and then sprayed with a cheap radiator white gloss paint. i took the books off it too early and it warped a bit after i thought it had finished but ill do one more and thats it. im in the middle of another project now so ill probably post this in a couple weeks when i touch it up. clockfiend Thank you for all your hard work, well done! 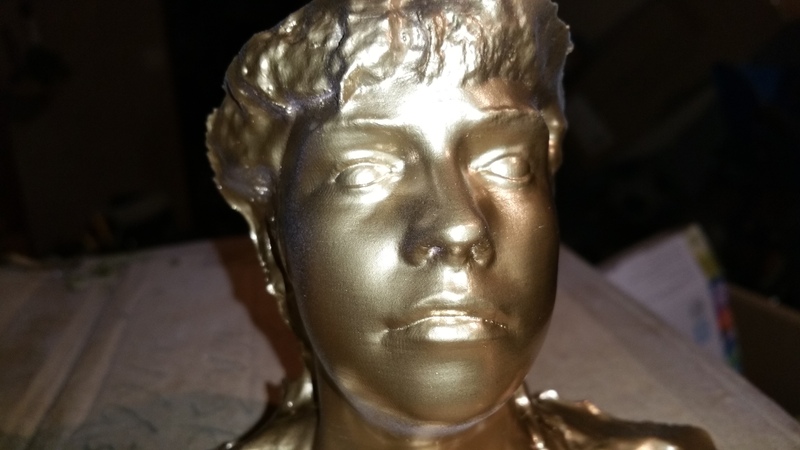 Ok just got some NEW ultimaker blue filament, and seeing from the temps on the pack, they are very different from the old ones i had, so i hope it smooths just as well as before, but im thinking it my not, so it might be back to colorfabb.....maybe i shouldn't have gotten 3 rolls then? lol. OLD temps 190-260, NEW temps 210-230? havent posted here in a while due to not doing much acetoning lately. im actually resorting to filler and sanding at the mo as my pieces are huge and its just easier as i need to glue them together. i dont like acetoning pieces after they've been glued as it means i need to put on more filler and yet more sanding. this next piece is a failed print that is way too thin and full of holes and i thought the acetone would melt it, but it held up quite well. i used a brush to keep reapplying the acetone. it went a bit whiter due to the brush having filler residue still in it. 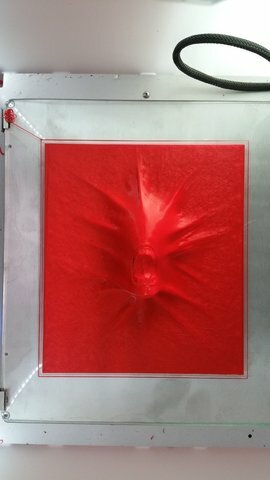 colorfab red pla. this is much smaller than i normally print. i rubbed some wire wool over it after jut to remove some of the residue before i sprayed it,and i like what it did, a subtle smooth. I've heard tell of people baking their parts for a cleaner outer edge, has anyone actually tried that? With regards to ABS. Some other things that smooth it i have found is washing up liquid (fairy) and apparently putting it in the dishwasher, (again some form of detergent in the dishwasher powder?) Have not really bothered pursuing these though as i dont use abs at all anymore, and see no reason to other than temperature dependent parts. PLA is just as strong if not stronger in my opinion, well the PLA blends I use anyway. I just mentioned the baking because it makes the most sense to me. I guess that would require some really good temp control. 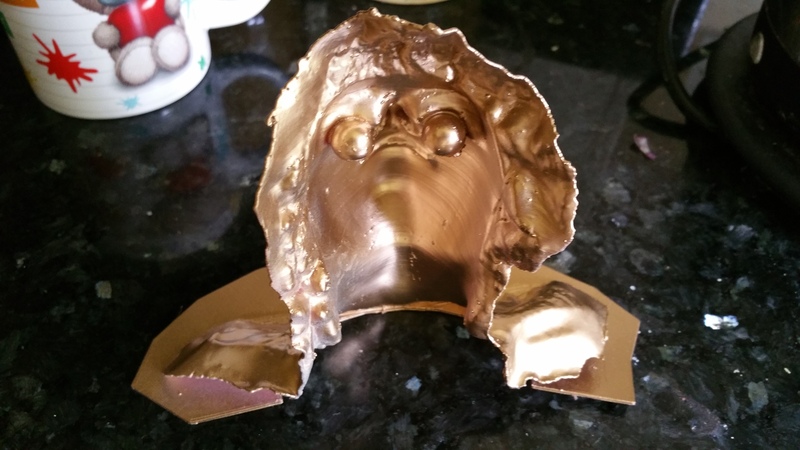 I tried a reheating and rubbing the grooves and it had a slight positive effect. Baking? it makes no sense at all to me, its like melting the object to make it smooth? Thats exactly what i hate about the ABS acetone vapour method, besides, you can vapour UM PLA so just do that instead, and it wont get ruined like ABS. 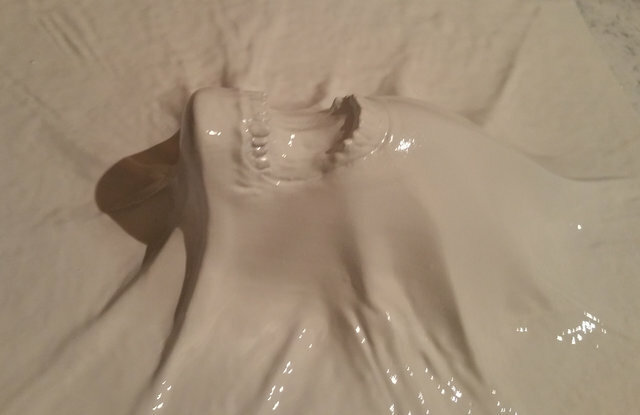 whats wrong with PLA dipped acetone???? its cheap and very available? and gives amazing results. anything else and you are losing detail. You can repetedly brush on the acetone if you are afraid of dipping it. you cant brush on oven heat? Keep PLA AWAY from heat. Putting into an oven will simply ruin it. End of story. rubbing it when its heated up is just deforming it as its structure is soffened due to the heat. but if you want to experiment cooking Plastic go ahead, but im sure its not very safe. All the fumes will go in your house? and you will use the oven to cook food later???? Hmmm. Go ahead, I wont be doing that.